A V for the birthday boy! Discussion in 'The Small Company Luthiers' started by enharmonic, May 2, 2016. I'm very psyched for my first V. Doug Kauer had 1 last body from a limited run he did a few years back, and was willing to help a brother realize a dream. Finish will be Starry Night. 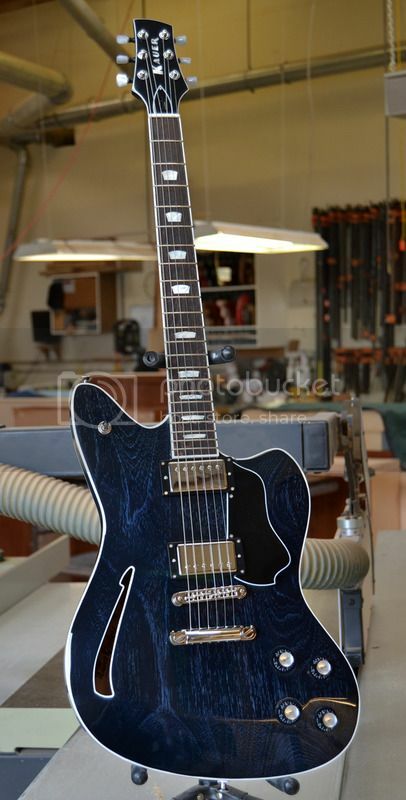 Pickups will be Wolfetone Kauer Winds. Pickguard will be b/w. dzo, Thor, Jimmy B and 12 others like this. Please allow me to be the first to like!! Looks great! Wait- is today actually your birthday? Did I randomly set your neck (well sort of randomly) on exactly the right day? Awesome! enharmonic and cmatthes like this. Man should be great! Love that color and love those pickups! d1dsj, Jimmy B, 65DuoSonic and 7 others like this. Doug, don't want you to give away any trade secrets but does the white go on first or the black with that type finish? And, crazy cool guitar!! Congrats!! Yep, like Collings' 'doghair'. Looks to me like intentionally under-filled grain, black, then white - sanded back down to black, leaving white in the grain. Then a sh7tload of clear to allow flat sanding. I bet it looks even more amazing after a few years of settling. But that could be completely wrong. d1dsj and cmatthes like this. 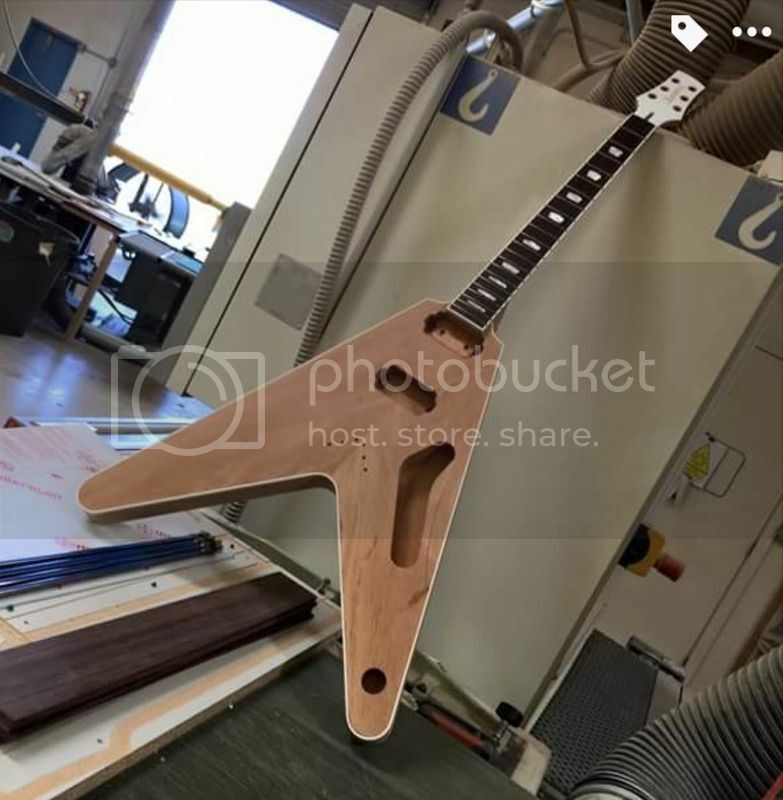 This guitar's gonna be epic looking. What color hardware? I could see gold or chrome working. 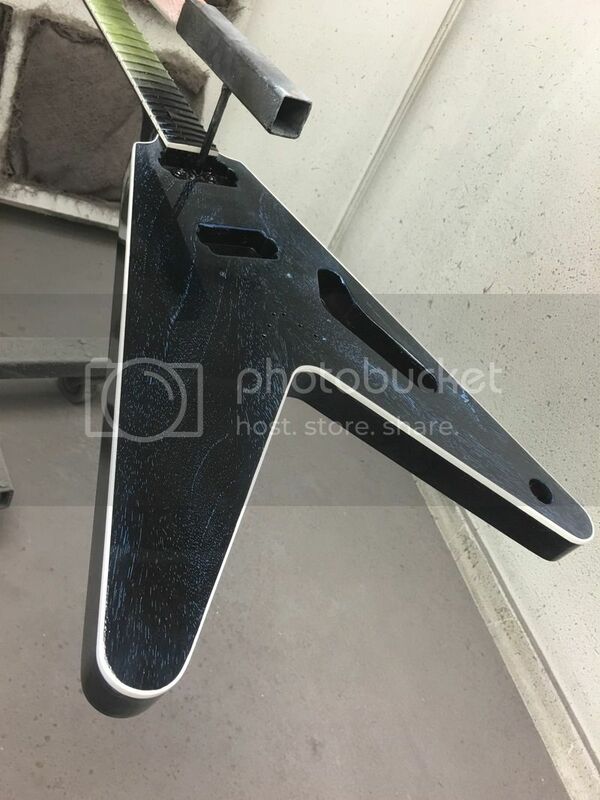 nickel hardware / pickups, black pick guard. Ya, that's what I came up with too, but wasn't sure. Happy birthday, OP, and congrats with a fine new guitar. 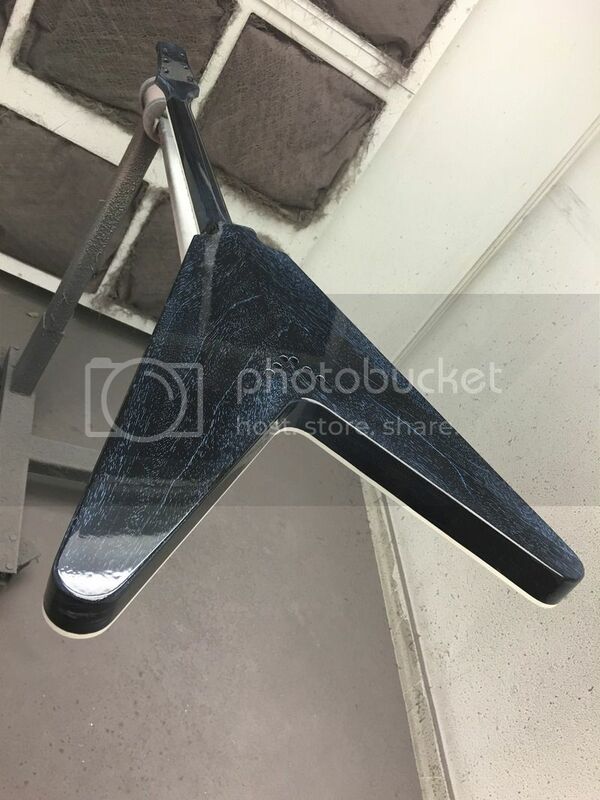 Very cool finish. Doug builds great guitars, is a fantastic guy, and does what he says he's going to do. That = repeat business in my book. BTW, semi-related...Paul Rhoney is the same way, and they share a shop. Two fantastic guys turning out killer guitars.